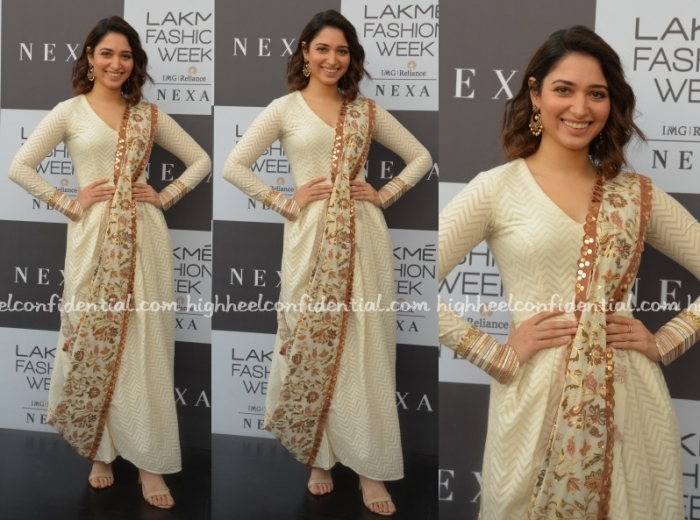 Tamannaah took in the Sukriti and Aakriti show wearing an outfit by the designers. I am not completely on board with these dupatta-dress styles but she looked nice. You can catch Parineeti in another version here. Beautiful, just can’t look away from that beautiful smile! Exactly. So pretty she looks.